Max Born was a German physicist who played a vital role in the evolution of quantum mechanics. His theoretical work in solid-state physics and optics is also considered very influential. Born shared the 1954 Nobel Prize for Physics with Walther Bothe for his statistical interpretation of quantum theory. 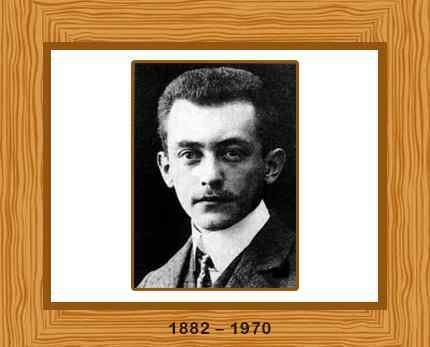 Born on 11 December in 1882 in Breslau, German Empire, Max Born’s father was an anatomist and embryologist. He received his early education from the König-Wilhelm-Gymnasium. He attended the University of Breslau, and later Heidelberg University and the University of Zurich, Born earned his doctorate at the University of Göttingen in 1907, under the supervision of famous mathematician Felix Klein. Max Born was a highly successful theoretical physicist who made brilliant contributions in the areas of physics and optics. He was appointed the Professor of Theoretical Physics at the University of Göttingen in 1921, where he established an authoritative school for atomic and quantum physics. Born also worked with Werner Heisenberg for a while; Heisenberg discovered the “arrays of numbers” in 1925 that could be employed to prepare the first in-depth quantum theory. Born was more proficient in mathematics than Heisenberg and he found out that these “arrays” were widely known in mathematics as matrices. Around 1926, Born and his assistant formulated a full explanation of the new theory. Perhaps Born’s most influential contribution to quantum theory was his concept that the wave-function could only be employed to predict the probabilities of different results being concluded in measurements; more precisely, that the square of the wave-function symbolizes a probability density. The concept was termed as the statistical interpretation of quantum theory. Max Born was very disappointed not to share the 1932 Nobel Prize for Physics with Heisenberg. Making things worse, he was forced to leave Göttingen as a Jew after the rise of Adolf Hitler. He spent three years in Cambridge, and alter became Professor of Natural Philosophy in the University of Edinburgh, where he stayed until 1953. After his retirement, Born returned to Germany. Finally in 1954, he was awarded Nobel Prize for Physics for the statistical interpretation of quantum theory, sharing with fellow nuclear physicist Walther Bothe. Born died on January 5, 1970 in Göttingen, Germany. He was 87 years old.